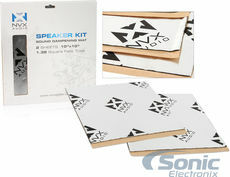 Looking to buy Car Audio online? 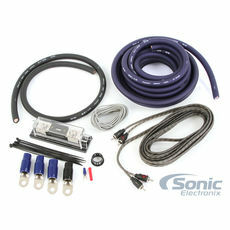 Sonic Electronix has everything you need to upgrade your car stereo, car speakers, and sound in your ride. 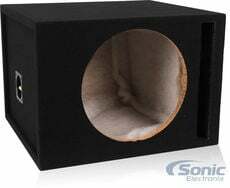 If you're looking to add a new subwoofer to your ride or get more power with an amplifier, you'll be able to do so quickly and affordably with our curated, organized list of products on our site. If you want to experience a huge upgrade to your sound system, we've got amps and subwoofers in all sizes. 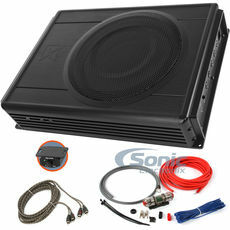 We are your one-stop solution for enhancing your car sound system. 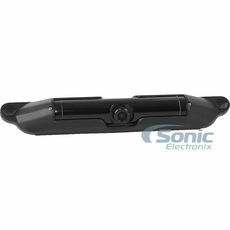 We also carry car video and GPS navigation products such as a new in-dash DVD player and headrest monitor. To help with directions, you can also get a nice in-dash GPS navigation unit. To use an analogy, a car stereo (also called a headunit, car radio or a receiver) is the "brain" of the car audio operation, allowing the user to control the sound output and adjust it as they see fit. 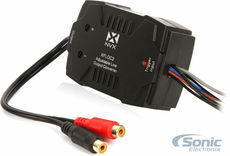 Aftermarket car stereos provide superior options and more features than factory head units. They also have a much flashier design including animated displays and customizable color schemes. 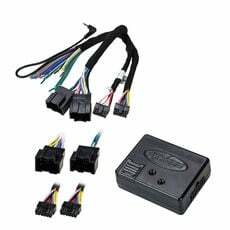 The sound output is louder and cleaner from aftermarket car headunits, and most have enhanced security features to prevent your receiver from being stolen. For the ultimate security features, look for head units with detachable face plates and stealth modes. 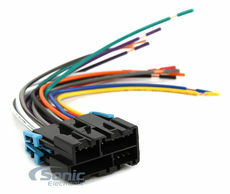 Want to know what single or double DIN aftermarket car stereos fit your vehicle? You can use our Auto Fit Guide to find out what stereos will fit. The Scosche chart will show you which kit you will receive FREE with the purchase of a compatible in-dash unit. Not all vehicles require a kit, and may only use the factory mounting brackets to replace the factory unit. Please note that factory mounting depth needs to be factored into the installation of any unit, along with the outer mounting area of the Double DIN dash opening compared to the units. Aftermarket in dash car radios usually come standard with controls for your AM/FM tuner and also have CD, MP3, WMA, and AAC playback capability. They also include standard controls for volume, balance, tone, fader, and source selection. Unlike factory radios, aftermarket car stereos have special skip protection, built-in crossovers and equalizers, and even Dolby Digital and DTS surround sound decoding. 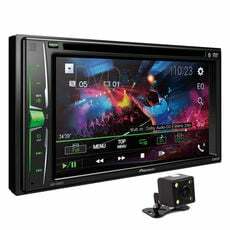 The top of the line car stereos include features such as DVD playback, satellite radio controls, digital HD Radio, internal hard drives, Bluetooth capability, GPS navigation, and inputs for iPod, Android, and USB use. 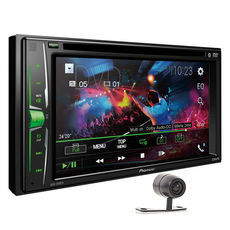 We carry car stereos with in-dash DVD playback with screens sold separately. Check out our LCD Monitors for overhead, headrest, stand alone, rearview, sun visor, and in dash monitors. We also offer in-dash DVD players with built-in screens that offer touchscreen controls. Some units feature motorized screens so that you can put the screen away when it is not in use. Our in-dash GPS Navigation systems are installed right into your vehicle's dashboard. They include a built-in CD player, AM/FM tuner and some even offer video (DVD) playback too. 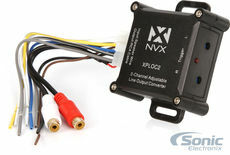 They also feature A/V inputs and outputs and an antenna for picking up the GPS signal. Your navigation system uses this antenna to pick up signals from Global Positioning Satellites. The monitors feature touchscreen controls and a digital keyboard display, making it easy to type in destinations. 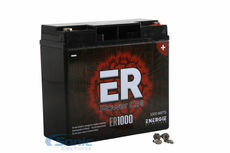 Most systems include points of interest that are preloaded into your system's memory. These points of interest are especially helpful when traveling in uncharted territory, giving you directions to gas stations, airports, restaurants, hotels, and other useful locations. Some car GPS receivers are now fashioned with Bluetooth technology to allow you to make hands-free phone calls. Many of our car stereo systems offer connectivity with iPods, iPhones, Android devices, USBs, and SD Cards for MP3 playback. This means you can play the music on your portable media player through your car receiver, controlling it all through your car radio. Just simply plug your portable music player into the stereo. 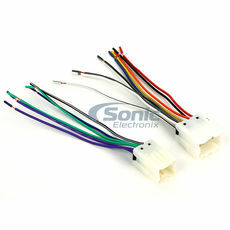 Some car head units require plug adapters to do this, and in a limited number of older models you can only control the music through the portable player. You can also install a FM modulator so you can listen to your portable media players via a radio frequency. Car stereos that are geared with the latest Bluetooth technology enable you to play music wirelessly from your laptop, cell phone or other digital media players. Certain car stereos even offer a built-in hard drive for storing your entire music library. 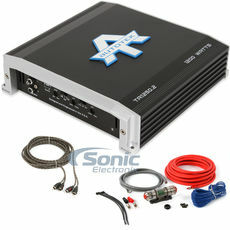 Don't overlook the cutting edge technology of HD radio and Satellite radio. HD radio allows you to receive a clearer AM/FM signal, even when traveling in the most obscure locations. Similarly, satellite radio offers clear broadcasting signals almost anywhere as well as commercial-free channels with premium content. 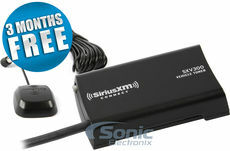 To use a satellite radio tuner, you need a satellite radio-ready car stereo, an antenna, and a subscription. Simply mount the unit underneath your seat and connect the car stereo to the antenna to begin your satellite radio experience. Satellite radio units that operate with navigation compatible stereos offer live traffic data for an additional monthly fee. This data briefs you on the average speed of traffic in your selected areas and helps you avoid traffic jams. Most aftermarket car radios include options for further expansion possibilities. 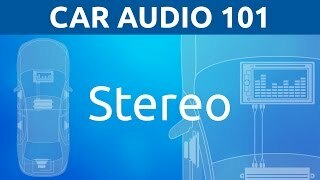 You can use your car stereo's auxiliary inputs and audio/video outputs to connect portable media players, TV monitors, car amplifiers, and subwoofers. For any questions, give us a call at 1-877-289-7664. 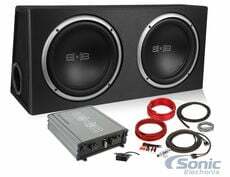 Our staff will help you in selecting the perfect setup so that you can start building your first class car audio system today! Upgrading your factory stereo? Learn how to choose the proper unit that will fit perfectly in your vehicle with these simple tips. A step by step guide on how to properly install your head unit. Explore the different sizes of aftermarket head units and learn how to pick the right one for your vehicle.